Dr. Daniel Ragsdale, professor of practice in the Department of Computer Science and Engineering at Texas A&M University, was recently elected to the university's Faculty Senate where he will represent the Texas A&M College of Engineering. This comes 40 years after being elected student senator as an undergraduate in the department. For years researchers have studied the way they develop and maintain themselves, but Dr. Ignacio Rodriguez-Iturbe wants to know how they interact with nature, specifically coastal ecosystems. When Zahra Parkar ’18 was mapping out her higher education plans, affordability, challenging coursework and engaging leadership opportunities were at the top of her list. Through Texas A&M University’s Engineering Academies and the Zachry Leadership Program, she found exactly what she needed. Dr. Zenon Medina-Cetina, associate professor in the Zachry Department of Civil Engineering at Texas A&M University, was presented the Kenneth L. Clinton Award for his work as the lead of the Yucatan Initiative Project at Texas A&M. Yasser Soltanpour, graduate student in the Zachry Department of Civil Engineering and member of the Stochastic Geomechanics Laboratory (SGL) at Texas A&M University, presented a technical talk at the Computational Science and Engineering Conference in Atlanta, Georgia, hosted by the Society for Industrial and Applied Mathematics (SIAM-CSE17). NASA has selected a multi-disciplinary team headed up by principal investigators in the Department of Aerospace Engineering at Texas A&M University for a five-year, $10 million grant as part of NASA Aeronautics’ University Leadership Initiative (ULI). 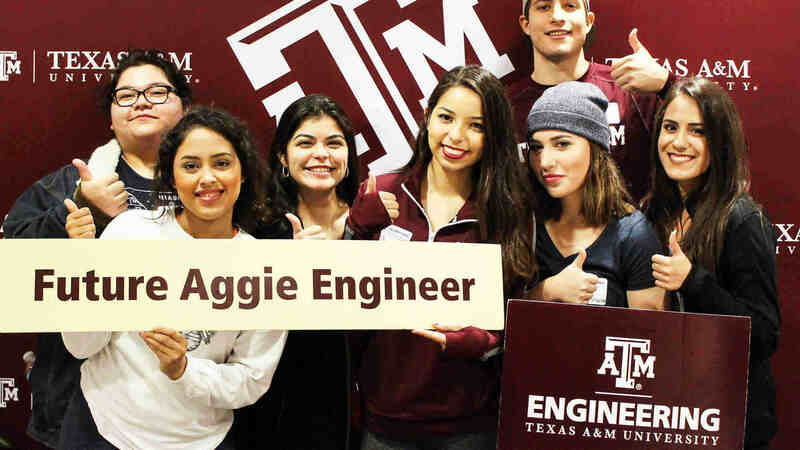 As part of the Texas A&M University College of Engineering’s effort to enhance the educational experience of its students through its 25 by 25 initiative, the college has launched the First-Generation Engineering Student Mentoring Program (FGEn). 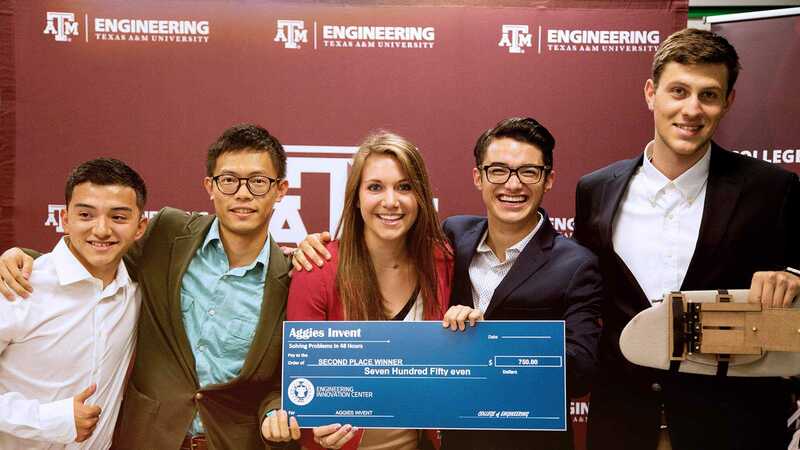 Aggies Invent at Texas A&M University has found a way to create an innovative experience where students come together from across the university to create solutions and prototypes in just 48 hours. n the fall of 2018, 46 years after the opening of the original Zachry Engineering Building, the new Zachry Engineering Education Complex (ZACH) will open its doors to offer undergraduate students the most modern learning environment on campus. Dr. Bruce L. Tai, assistant professor in the Department of Mechanical Engineering at Texas A&M University, has received the Blackall Machine Tool and Gage Award from the American Society of Mechanical Engineers (ASME). Charles Noren, a senior in the Department of Aerospace Engineering at Texas A&M University, has been awarded the Spirit of Apollo Scholarship for the 2017-18 academic year by the American Institute of Aeronautics and Astronautics (AIAA). Craig Brown ‘75, former student of the Zachry Department of Civil Engineering, has been awarded the Distinguished Alumnus Award from the Texas A&M University Association of Former Students. Brown is the cofounder, chairman and CEO of Bray International, Inc.
Lauren Cross, a doctoral student in the Department of Biomedical Engineering at Texas A&M University, recently took first place at the Biomaterials Day funded by the Society for Biomaterials (SFB) at The University of Texas at Austin. Dr. Darren Hartl, assistant professor in the Department of Aerospace Engineering at Texas A&M University, and former student Christopher Bertagne, traveled to Washington, D.C. to present to three congressmen and their staff members their research performed in collaboration with NASA’s Johnson Space Center and Glenn Research Center on shape memory alloy (SMA)-based morphing radiators. John Aggas, a doctoral student in the Guiseppi-Elie Lab of the Center for Bioelectronics, Biosensors and Biochips in the Department of Biomedical Engineering at Texas A&M University, received a National Science Foundation (NSF) fellowship to attend the 16th NSF International Summer School (2017) on Bio-X: Biocomplexity, Biodesign and Bioinnovation. Several students from the Zachry Department of Civil Engineering participated in the 2017 Texas A&M University Student Research Week (SRW). Envisioning cityscapes renewed with stylish, custom-designed concrete structures, a group of Texas A&M design and engineering faculty and students will collaborate during the 2017-18 academic year to develop a low-cost method for quickly casting complex, concrete forms. The Texas A&M University College of Engineering has awarded 56 engineering undergraduate and graduate students the Business Management Certificate after completing an intensive two and a half week business management course. Two Texas A&M University directors were awarded a National Science Foundation (NSF) grant to develop the TAMU-iSite, an NSF Innovation Corps (I-Corps) site. In March, Fortune Magazine released a list of “The 50 Most Powerful Latinas of 2017.” The list was compiled by the Association of Latino Professionals for America, and was based upon four criteria: the size and importance of the woman's business in the global economy, the health and direction of the business, the arc of the woman's career—resume and runway ahead—and their social and cultural influence. The student chapter of the Institute of Transportation Engineers at Texas A&M University (TAMUite) recently took a field trip to Houston TranStar. Houston TranStar is a unique partnership of representatives from the City of Houston, Harris County, METRO and the Texas Department of Transportation (TxDOT), who share resources and exchange information under one roof to keep motorists informed, roadways clear and lives safe in the fourth most populated city in the United States. Scott Herting, a student in the Department of Biomedical Engineering at Texas A&M University, was recently awarded the 2017 National Defense Science and Engineering Graduate (NDSEG) Fellowship. Dr. Bruce L. Tai, assistant professor in the Department of Mechanical Engineering at Texas A&M University, has received the 2017 Outstanding Young Manufacturing Engineer Award from the Society of Manufacturing Engineers (SME). Dr. Valerie Taylor, senior associate dean for academic affairs and the Royce E. Wisenbaker Professor in the Department of Computer Science and Engineering at Texas A&M University, was awarded a National Science Foundation (NSF) grant for her efforts in establishing a new Research Experiences for Teachers (RET) site. Dr. Yue Kuo, professor and holder of the Dow Chemical Professorship in the Artie McFerrin Department of Chemical Engineering at Texas A&M University, has been appointed chair professor of the Department of Photonics at National Chiao Tung University (NCTU) in Taiwan. A team of six students from the Zachry Department of Civil Engineering at Texas A&M University took home second place in the Student Design Competition from the 11th annual Water Environment Association of Texas (WEAT) Texas Water Conference. Children from a local elementary school were engineers for the day with the help of some students in the Zachry Department of Civil Engineering at Texas A&M University. The Texas A&M chapter of the Student Engineers’ Council (SEC) recently elected Nasan Tsengeg, an undergraduate student in the Department of Electrical and Computer Engineering at Texas A&M University, as its president for 2017-18. Dr. Calvin Woods, professor emeritus in the Zachry Department of Civil Engineering at Texas A&M University, passed away May 30. Two student groups in the Department of Computer Science and Engineering at Texas A&M University proposed two very different, but equally inventive, projects for their microcomputer systems course this spring. Dr. Farzan Sasangohar is working on an algorithm-based monitoring system to help veterans suffering from post-traumatic stress disorder (PTSD). The National Security Agency (NSA), along with the Department of Homeland Security (DHS), has designated Texas A&M University as a National Center of Academic Excellence (CAE) in Cyber Operations, making it one of only a handful of academic institutions in the United States to hold three NSA distinctions. Two undergraduate students in the Department of Computer Science and Engineering at Texas A&M University recently collaborated on a project to develop an autonomous terrain mapping system for Texas A&M AgriLife Extension Service agents. Dr. Guofei Gu, associate professor in the Department of Computer Science and Engineering at Texas A&M University, led a team of researchers from five universities on a collaborative project involving groundbreaking security management that has been awarded a $3 million grant. The grant is jointly presented from the National Science Foundation (NSF) and the software company VMware. A group of former students has established an endowed scholarship to honor Jerry Bradshaw ’60 for his contribution to teaching and mentoring of countless undergraduate students in the Chemical Engineering Department.